Numbra is a wall clock designed by Jordan Murphy that releases your creativity. Essentially a set of metal numbers to hang as collage on your wall. 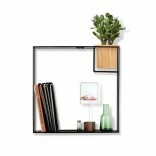 Get creative and make a statement with the Numbra wall clock by Umbra. 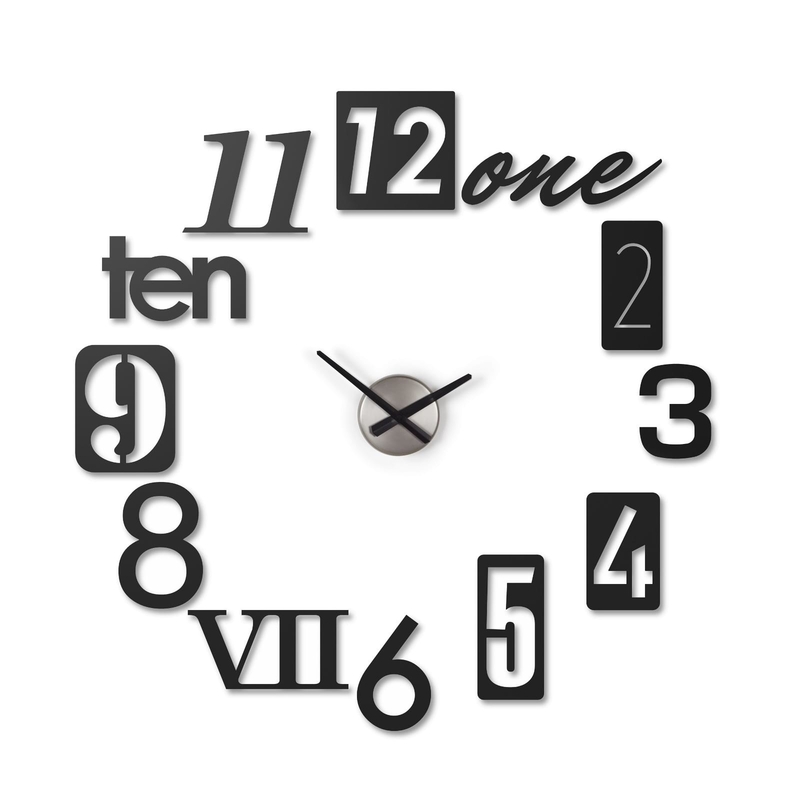 Inspired by house numbers, numbra uses your wall space as its board to create a timepiece that can be custom-scaled. 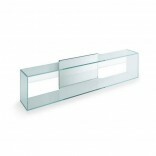 With numbers as long as 23 cm, this can be a defining piece on a large blank wall. 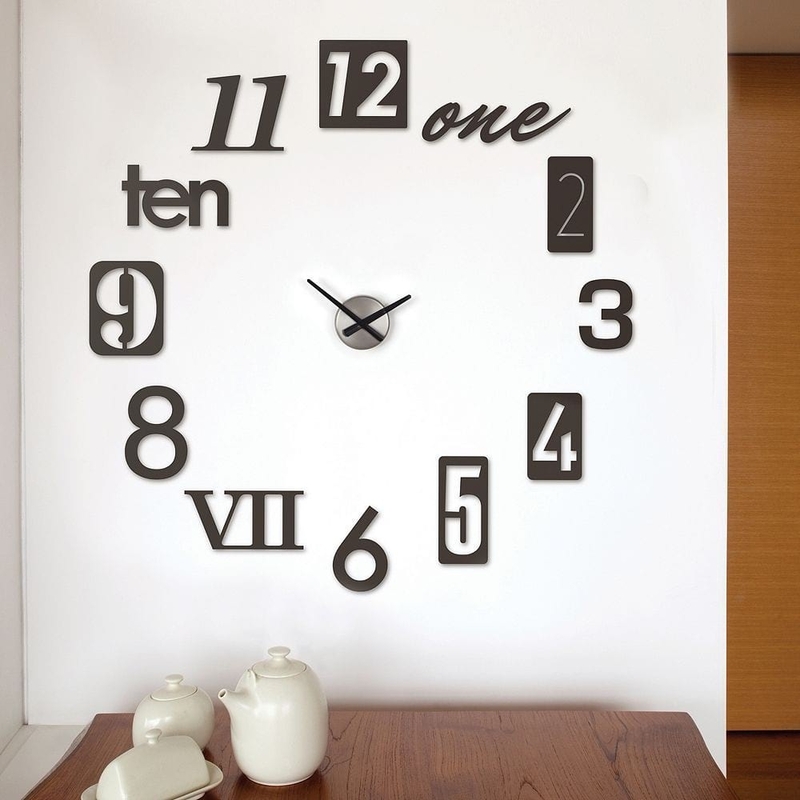 The clock consists of a set of 12 stamped-metal numbers to mount individually to the wall with adhesive, and a clock mechanism that mounts to the wall with a screw or nail.